LBA manages the application and safety of electromagnetic energy, We offer a world of safety, RF, and wireless telecommunications industry infrastructure products and services supplied by the LBA Group companies, as well as resources, tools, and connections to the dynamic technology risk management, wireless, and radio frequency communities worldwide. LBA Technology custom engineered diplexers, triplexers, and multiplexers provide broadcasters the ability to transmit two or three different AM signals for one series-fed antenna.Diplexers include an antenna tuning unit and rejection filter section for each frequency. Triplexers include an antenna tuning unit for each frequency and two rejection filter sections for each frequency. Multiple antennas and future add-ons are no problem for the CoLoCoil AM isocoupler. 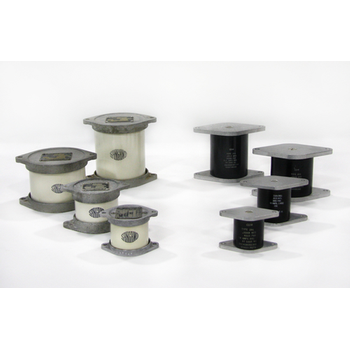 Even with different coax cable size requirements!LBA's modular approach allows the operator to start with one CoLoCoil, and build out to 6, 9, or more supporting 50 or more antennas!Practically "plug and play", expansions are fast, minimize AM station impact, and maintain full grounding and lightning protection!Truly the state-of-the-art in AM collocation, backed by over 25 years of colocation experience!The LBA CoLoCoil AM Isocoupler system permits trouble-free colocation of all wireless antennas on AM broadcast antenna towers including directional arrays! With the CoLoCoil, most wireless installations have virtually no effect on the host AM tower, and the AM station has no effect on wireless system coaxial cables and antennas. CoLoCoil isocoupler modular systems are transparent to AC or DC voltages on coaxial cables. Thus, they present no problem to coaxial-powered tower top amplifiers, smart antennas, and other devices even supporting AC and strobe tower lighting systems!LBA CoLoCoil modular iscoupler systems are ideal for PCS, Broadband and Cellular collocation. They feature a unique patent-pending configuration that allows the addition of multiple coaxial cable modules. 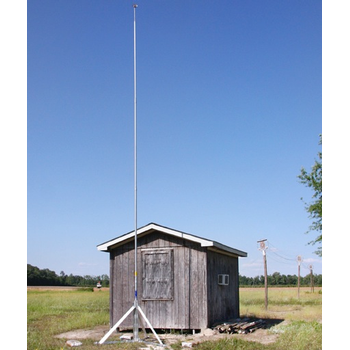 New antennas can be accommodated at any time without system redesign. Modules are factory-adjusted to minimize field set-up, and only high stability components are used to eliminate periodic readjustment. Rugged coaxial connectors used at the input and output are the only RF path connections used, virtually eliminating intermodulation. RF path reliability and performance is that of the coaxial cable alone! Each coaxial path is sweep tested and measured for insertion loss before shipment and the documentation furnished to the user.All modular CoLoCoil isocouplers are rated to work with AM RF voltages typical on AM towers of 10,000 watts or less. Custom systems are available for all AM power levels. 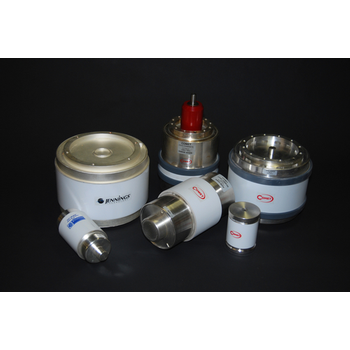 Custom isocouplers accommodate high power levels, special configurations and performance. Even non-coaxial cables, such as for active antennas and tower lighting, can be incorporated in custom CoLoCoil co-location modules.CoLoCoil AM isocoupler modules are optionally equipped with a unique isolation and safety monitoring system. Front panel indicators permit instant visualization of isolation circuit status and RF presence. Alarm connections are provided for interface with site status and interlock systems.For safety of user personnel, CoLoCoil isocoupler modules are designed so that no high RF voltages are accessible. 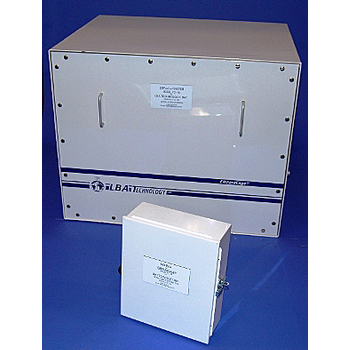 A highly effective RF grounding system eliminates the AM "hot cabinet" problem. Additional features of the system include color-coding of all coaxial input/outputs and numbering for ready circuit identification and user inventory. A direct DC static ground and rugged spark gap provide lightning protection. The COMM-connect Entry Level Broadcast Power Monitor from LBA Technology can control two external RF Measuring heads. The high dynamic range with external couplers and RF measuring heads cover from 1W to 1MW. Equipped with the RMS Probes the Power conversion algorithms handles multi carrier, multi mode signals. With the 3026 Diode base probe the power readout gives good repeatable results. The power readout is auto scaled and VSWR will be calculated between the two probes. The COMM-connect Entry Level Power Monitor gives a number of applications to monitor and control the last part of your RF network installation from transmitters to the antenna. 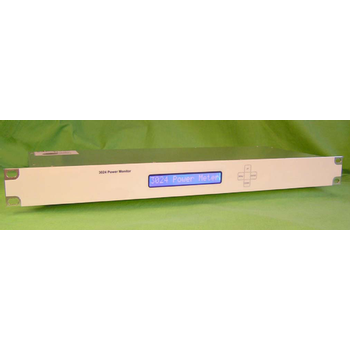 The COMM-connect 3024 RF Power Monitor from LBA Technology can control up to 8 external RF Measuring heads. The high dynamic range with external couplers and RF measuring heads cover from 1W to 1MW. 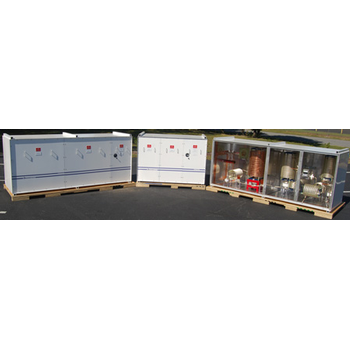 The Power conversion algorithms handles multi carrier, multi mode, peak, average and RMS signals. The power readout is auto scaled and VSWR can be calculated between any probes. Also the measured and calculated results along with alarms can be shown in the local LCD. The instrument has SNMP support to allow network management. The instrument can be configured for VSWR and Power limits to give alarms. The alarms can be configured to operate relay drivers or isolated Optcouplers. The alarms can also be configured as SNMP traps sending relevant information to the network control center. 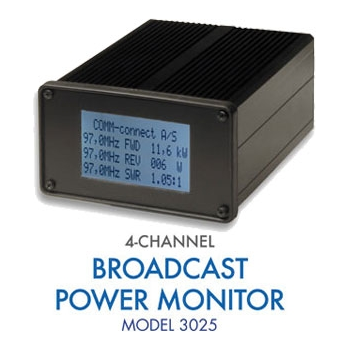 The COMM-connect 3024 WEB enabled RF Power Monitor gives an unlimited number of applications to monitor and control the last part of your RF network installation from transmitters to the antenna. LBA Technology maintains a large stock of all types of RF mica capacitors, and can supply virtually any style, value, or manufacturer's product on special order. Mica capacitors are widely used in low and medium power RF equipment and are stocked in depth. 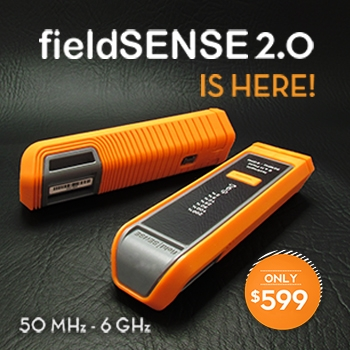 FieldSense 2.0™ personal RF safety monitors from LBA Technology are an effective and economical means to monitor the strength of electromagnetic (RF) fields from wireless cell phone towers, microwave ovens, television stations, and other common workplace RF sources between 380 and 2,700 MHz, E-field and H-field (sensed as a plane wave). The Personal RF Monitor is essential RF safety equipment in complying with FCC, OSHA, Canadian and other workplace rf safety requirements. LBA Tunipole Folded Unipole Antenna Systems deliver higher efficiency and bandwidth than series fed towers while providing lightning protection. Tunipoles are ideal for both directional and non-directional antenna systems. 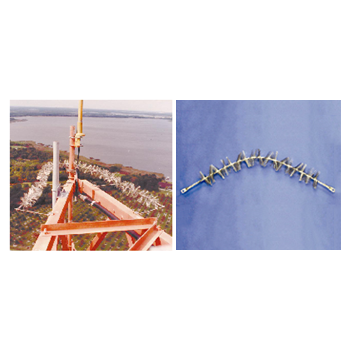 It provides extra bandwidth and efficiency; improves impedance match to reduce tuning unit loss and complexity; has identical radiation pattern to series fed; reduces tower height and ground system requirements; and allows mounting of FM, TV or communications antennas without isocuplers or stubs. No base insulator or lightning transformers are needed. Direct tower ground diverts lightning strikes to protect RF equipment. 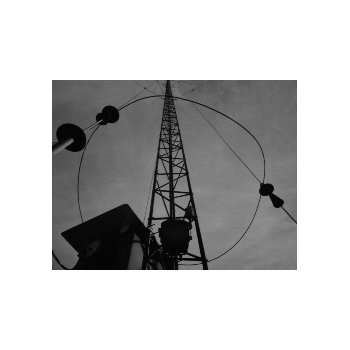 Combipoles permit up to 3 AM frequencies on one tower. 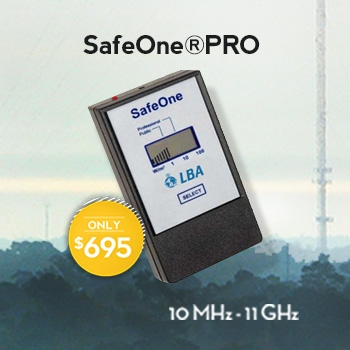 SafeOne Pro SI-1100XT from LBA Technology is an effective and economical means to monitor the strength of electromagnetic (RF) fields from mobile phone towers, microwave ovens, radio and television installations, high frequency welders, and other common workplace RF sources between 10 and 11,000 MHz. The Personal RF Monitor is an important tool in complying with FCC, OSHA, and other safe workplace requirements. 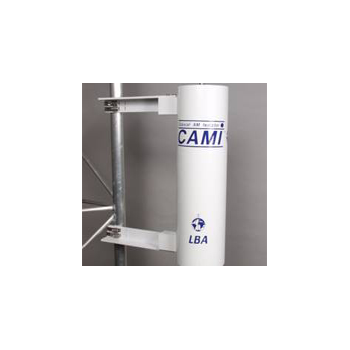 Area protection for fixed and portable assets - LBA Technology offer the PLP-30 family of fixed and portable lightning protection masts and kits. Based on a light weight, rugged 30 foot (9.1m) aluminum mast; various mounting styles, grounding systems, and UL Listed air terminals are offered. PLP-30 lightning mast components are under 9 feet (2.7m) long for easy surface or air transport and rapid field installation.PLP-30 Lightning Masts are recommended for a wide range of lightning protection applications where it is impossible or undesirable to attach conventional lightning terminals. Other models in the series share the same attributes and differ only in height and weight.PLP- 30 Lightning Masts provide a cone of protection within which lightning charges are diverted to the mast and grounded instead of to the protected object. Multiple PLP-30 masts may be used to protect extended areas. Protected areas may be determined by use of the widely accepted "rolling sphere" concept. 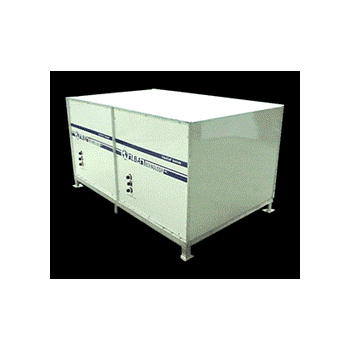 For example, a single PLP-30 mast will protect 8 foot (2.4 m) high portable buildings wholly within a 40 foot (12.2 m) radius. An array of five PLP-30 masts will protect a camp of portable buildings within a 25,000 square foot (2350 m2) area. Consult LBA Technology for specific layouts you wish to protect.